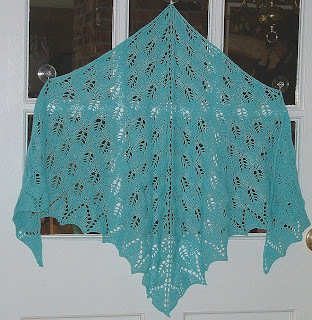 ~* West End Designs Journal *~: The Post In Which I Show Another Shawl. 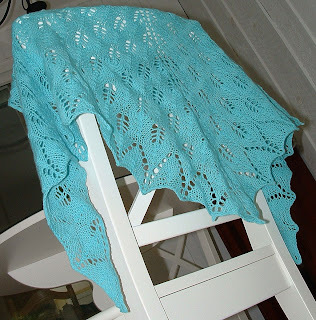 The Post In Which I Show Another Shawl. Remember the post where I showed you the yarn for the next shawl?? That yummy cashmere that I got for a song in NYC??? Well, I finished it. Ok, so I finished it some time ago, but I finally got around to taking pictures. 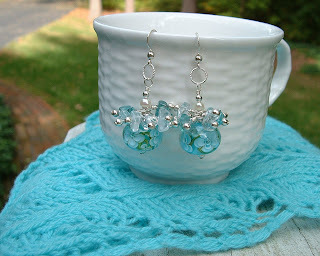 I even made earrings to match the shawl. And I almost forgot to say the stunning lampwork beads came from jenagirlbeads!! Her floral beads are TO DIE FOR!!! Go get yourself some today!!! If I can ever get these darn baby bonnets finished (and the pair of "Fetchings" for the Mum) I can finish my other shawl......that is a mere 16 rows away from the finish line!!! 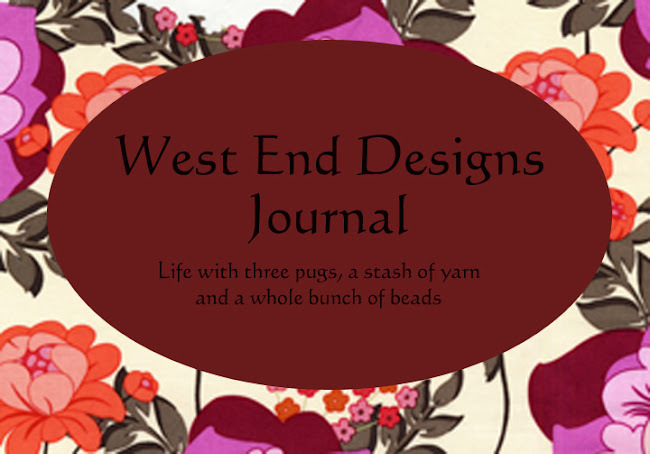 Modifications: I did 2 extra pattern repeats. Comments: The yarn softened up so much in blocking. 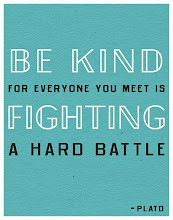 It's a busy week here, but I will try to post as often as I can. I love the scarf and the earrings - they go perfectly together!